Well done to the team at Cygnet Lodge Kenton who have achieved AIMS re-accreditation from the Royal College of Psychiatrists. AIMS (Accreditation of Inpatient Mental Health Services) is a national project developed to ensure best practice is being achieved in in-patient mental health rehabilitation services. Amongst other things the AIMS peer review team assess standards of care, current facilities, standards of documentation and health records, environmental facilities, staff training qualifications, support and supervision. It is a homely environment adapted and equipped to meet the needs of the client group. A great overall use of space considering it is adapted from a domestic environment. The outdoor pod is particularly useful. The team are supportive and clearly enjoy working at Cygnet Lodge Kenton and feel very valued and supported. Service users and carers echo this sentiment and have only positive things to say. Local policies, audit procedures and documentation sets out clear expectations and patient pathway options. 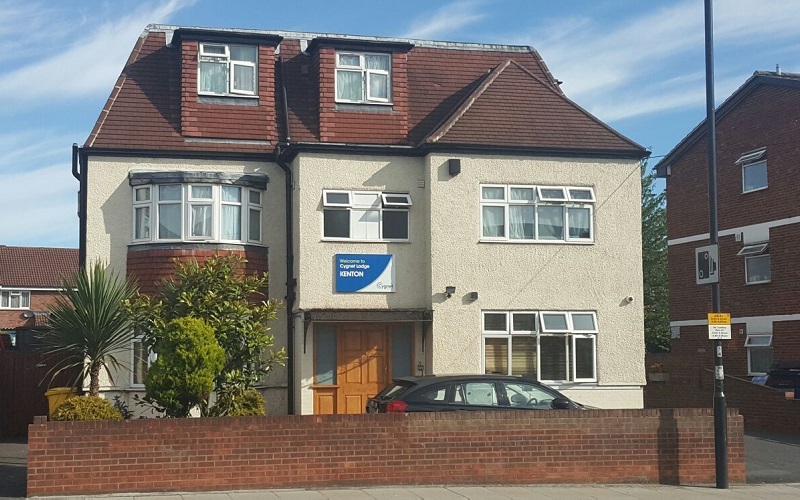 Cygnet Lodge Kenton, in North-West London, is a female mental health rehabilitation service which provides a care pathway for service users who are preparing to step down to community living. Our service provides a high level of support and uses a recovery focused model. To find out more information about the service please visit the Cygnet Lodge Kenton web page.